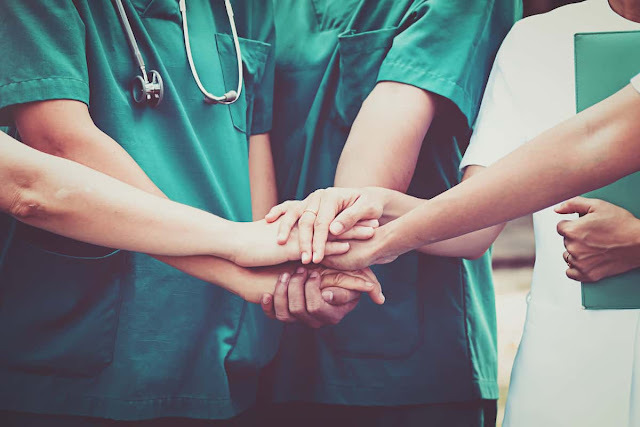 What is a career network (or a professional networking) and how do nurses go about networking to land that ideal job or advance your career in other ways? You’ve heard it said “It’s not what you know but who you know” if you want to advance in life. Unfortunately, there is a lot of truth in this. Surveys show that 70% – 85% of candidates are appointed through some form of networking, and up to 70% of jobs are never advertised to the public in media or on job boards. Nurse A and Nurse B have both applied for the same position that will be a promotion in the organization where they both work. They have the same qualifications and experience. They are both admired for the quality of their work, respected by their colleagues, and liked by their patients. ◈ Nurse A gets on with her work. She talks to her co-workers about the work to be done, but seldom chats to and laughs with them on a more informal basis. They know very little about her as a person or of her home life, she avoids social events at work and doesn’t belong to or participate in professional organizations. ◈ Nurse B often asks co-workers how they are, how things are going at home and gives support when she notices they are down. In chatting, she also shares some of her problems, dreams, and ambitions. Everyone knows Nurse B because she joins in when there is an event at work, has been asked to serve on committees, and is an active member of her local nursing association. Who do you think is the most likely to get the promotion? The goal of professional networking is to build real connections with others. Some even say it’s not so much who you know but who knows you. People who know what you are like as a person, what your interests, abilities, and strengths are. Who would bring you to mind if they hear about a job opening and let you know, or who would be prepared to put their reputation on the line to recommend you? The bigger your network, the more potential opportunities could come your way. But networking involves more than just collecting contacts – as in sharing names, a business card and a few words. You have to build and maintain a connection, and this involves creating rapport as well as mutual trust and respect. This needs some work from your side by giving the other person something of value as well as linking up from time-to-time. As a student or a newly qualified nurse, you already have a social network of family, friends, and members of groups you belong to such as your church or sports groups. You have the beginnings of a career network in fellow nursing students and colleagues. Don’t neglect this network as they can provide valuable connections now and in the future. Keep your professional and career network active. Keep your professional and career network active. ◈ Gaining the respect and recognition that will give you a voice within your organization through which you can have a positive influence on systems and procedures. You might feel that intentional networking is artificial, but it isn’t really if you see it as creating friendships where there is a give-and-take relationship that is work-related rather than social or recreational. As with friends, you build connections with people that you hit it off with and with whom you share common interests. 1. To build a career network, you first need to meet people, and then you need to get to know them. Go out of your way to strike up conversations wherever you are. This may be difficult if you are shy but when you call others by name, ask questions and listen to what they have to say, they will immediately be attracted to you because they feel that you are interested in them. 2. Put yourself in places where you can meet people. Accept invitations. Attend events that are organized at your place of work or by nursing or other healthcare organizations. Plan to attend a few nursing conferences every year. 3. If you’re given the opportunity to serve on committees at work or in other organizations, don’t hesitate to get involved and stay involved. Not only will you get to know the other members very well, but you’ll also learn new skills and get a chance to showcase your abilities. 4. Join professional organizations and engage and interact with other members. Be prepared to give some of your time and expertise to advance the interests of the organization. This will get you noticed by other professionals who might help you to improve your career in the future. 5. Work on building a deeper relationship with the people you meet. Where appropriate, you can send an “it was great to have met you” or a thank you e-mail to follow up. Or you can connect on social media. Make sure to keep any promises you made during a meeting like passing on a message to a mutual friend or sending a web link that the other person was interested in. 6. Once you have a good career network going avoid losing contact when “life happens.” Keep in touch regularly even if it’s just sharing something on social media that you know the other person will be interested in or a quick phone call. Try to give more than you get. You never know when the day might come when someone passes on information about that ideal opportunity, or you need support in a work crisis. You’ve put a lot of work and time into building your knowledge and skills through qualifications and experience. 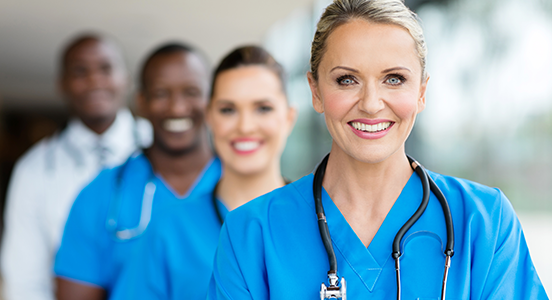 How much effort have you put into building your nursing career network? As busy as you are, take 10 minutes here and 10 minutes there to connect with someone face-to-face or on social media and commit to attending a few professional meetings and conferences every year.